I bought this on a bit of a whim, I was making a Mac order and wanted to reach £50 for the free delivery but not go over by too much. At the moment Mac are selling quite a few products as mini's so a perfect time to try it out. Now I still love my Liz Earle Eye bright and it is still my favourite, but I'm always looking out for new eye make-up removers to try. This is a close favourite though! It has no smell, is gentle on the eyes with no stinging and you don't need to rub your eyes to get rid of all the make-up. I pour a bit onto a cotton pad and hold it against my eye for about 30 seconds or so and gently wipe away and it all comes off. Now this is where it comes only second favourite. The price. It's £13.00 for 100ml which is good and I'd be happy to pay this but I'm going through it so quickly! I'm definitely going to buy the normal sized bottle but it isn't going to become my everyday eye make-up remover. 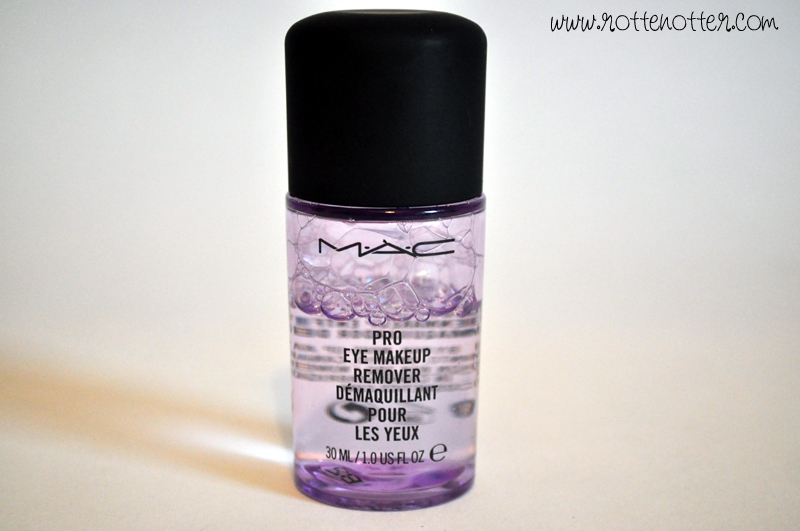 What eye make-up remover are using at the moment? I am currently using Benefits Remove it and it works really well for me. It doesn't aggravate my eyes which others tend to do. It is expensive but I think it will last me quite a while. I love the ickle bottle! My favourite eye make up remover is actually the Boots Botanic one. I've been using it for years and it never lets me down :). I don't use eye make-up remover, (I tend to use Lush's ultrabland in its stead) but I probably should!